If you are looking for a sneaker that will definitely look good for your casual attire or after-game getup, then Jordan Brand has the answer with the two new colorways of the Jordan RCVR. 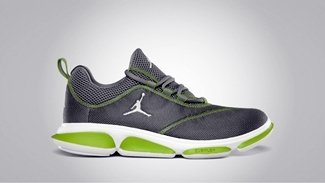 Known for its flexibility and the top-notch comfort and relaxation it can provide for your feet, make sure to watch out for the Jordan RCVR on August. This silhouette will be coming out in Stealth/White – Brilliant Green and Black/White – Gym Red. This can be yours for just $85 so make sure to consider getting one next month!